The sudden rush and gush of water, or even the sudden absence of water when you need it most, can be alarming and cause great panic for any home or business owner. And it never seems to fail that the biggest surprises come after hours, over the weekend, or as you’re expecting company. Not only can emergent plumbing situations cause great distress for homeowners, but they can also cause a lot of damage in a short time if not quickly addressed. If you’ve experienced the unwelcome surprise of a sudden leak, burst, or plumbing failure, call us right away! We are professional plumbers who can handle situations big and small, and we’ll promptly dispatch help to wherever you are. Day or night, it doesn’t matter! Call us 24/7 for emergency plumbing service in Denver, CO and Westminster, CO: (720) 363-2907. Most emergency plumbing issues need to be quickly addressed by the experts. 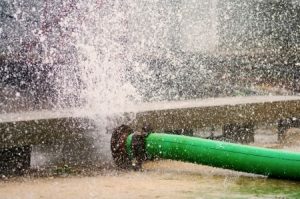 So what can you as the home or business owner do when you’re caught off guard by flooding,a pipe bursting or sewer plug-up that is backing up inside? First, act quickly! Don’t panic, but drop everything that you’re doing and immediately locate the main water shut off valve. If you don’t know where it is, locate someone who does as quickly as possible to reduce further damage. Shutting off the main water line can contain the leak until a fix is in place. Second, pick up the phone immediately. Hold off on trying to clean up until you’ve called our team at Best Plumbing of Denver. You can reach us 24/7 at (720) 363-2907. Let us know where you are, what happened, and what steps you’ve taken (such as turning off the water main valve). We’ll guide you from there and get on our way to you as quickly as possible. Once you know that help is on the way to make the appropriate repairs, give yourself a pat on the back for responding so well, and go ahead and put down a few towels or buckets to contain what you can. We’ll be there shortly! Call our team at (720) 363-2907 any time of day for emergency plumbing service in Denver, CO or Westminster, CO. We’re here for you! Updated on July 27, 2016 at 2:40 pm by Best Plumbing of Denver.